With a career in food retail and wholesale spanning over 30 years Mike has worked with a broad mix of retail formats in PLC and Private Equity owned businesses. Starting in store operations with Sainsburys, Mike moved into buying, managing fresh fish and poultry categories. Following twelve successful years in Sainsburys, Mike held a number of senior management positions in company owned and franchise retail businesses. 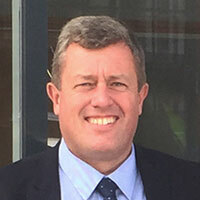 In 2009 Mike move into wholesale with Metro Group managing a commercial team within the Makro UK business which joined forces with Booker in 2013. Mike joined Budgens in January 2015 to lead the brand through the next phase of its development. With Budgens well established fresh food credentials, Mike’s focus is on continuing to deliver a stand out fresh retail proposition for independent retailers and national accounts. 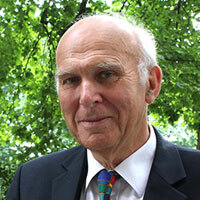 Sir Vince Cable is Leader of the Liberal Democrats and MP for Twickenham. From 2010 to 2015 he served as Secretary of State for Business, Innovation and Skills in the coalition government alongside the Conservatives. Born into a working-class family, Sir Vince holds a PhD from Glasgow University and has enjoyed a long and distinguished career in business and government. After being a Labour councillor, he joined the new SDP (now the Lib Dems) in 1981 and entered Parliament in 1997 after working as Chief Economist at Shell. In 2007 his was a lone voice warning of the impending banking crisis. 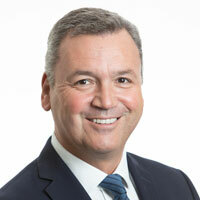 Andy Clarke, former President and CEO of Asda, has over 25 years’ experience driving performance improvement in multi brand international businesses. As a trusted public speaker and influential figure in British business, Andy has sector experience in food, fashion and general merchandise across property-intensive, multi-channel and online retailers. He has managed multi-site retail businesses from £1bn to £25bn in turnover, with net income of £150m to £1.1bn and employees from 18k to 180k. Having served on the Prime Minister’s (David Cameron) Business Advisory Group, Andy now sits on the board of directors at four forward-thinking and ambitious companies where he is on hand to share his considerable knowledge and expertise. 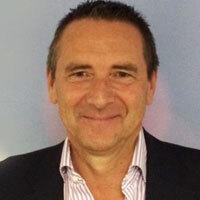 Chris has spent almost 20 years in market research, specialising in FMCG. 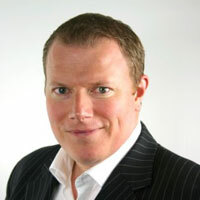 Chris is a spokesman for Kantar Worldpanel and is regularly seen within the business media. Chris presents to trade and government bodies, as well as retailers and manufacturers on topics as diverse as premiumisation, shopper coping strategies and the discount channel. Chris’s core passion is in helping manufacturers and retailers to grow. 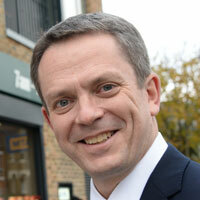 Assistant Commissioner (AC) Martin Hewitt began his policing career with Kent Police in 1993. He has worked in a number of uniformed and detective posts, and has specialist experience in investigation and intelligence both within the Counter Terrorist and Crime arenas. 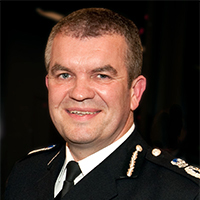 AC Hewitt transferred to the Metropolitan Police Service in 2005. Today, he is responsible for Frontline Policing which covers local policing across London, Homicide and Organised Crime, Online CSE and Trident Command. He is also the Management Board lead for knife crime and the Grenfell Tower Investigation. Jonathan James is the Chairman of James Convenience Retail Ltd, which operates stores across the Midlands and the North West. He is a former Chairman of the Association of Convenience Stores and a current Board Member. Jonathan is regular contributor to the national media regarding Convenience stores has taken part in a number of BBC TV and Radio programmes discussing retail crime and its impact on businesses and their employees. Allan Leighton is a business legend famous for turning companies around. He started at Mars and cut a swathe through Pedigree and then Asda, where he started in marketing and left as CEO in 1992. 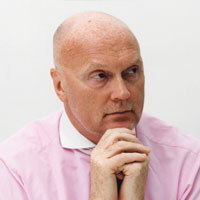 Having transformed a 'basket case' into a successful £6.7b sale to Walmart he left Asda in 2000 and developed a new work ethic – ‘Going Plural’ and took on non-executive director and non-executive chairman positions in a number of companies including Lastminute.com, Scottish Power, Dyson Ltd, Cannons Group Ltd, Bhs Ltd, BSkyB Group plc, Selfridges & Co, PACE plc and the shoe retailer. Next Allan took on the Royal Mail, where he became its longest-serving chairman, leaving in 2009. Among other projects, he looked after Danish jewellery company Pandora as CEO before, in February 2015, becoming non-executive Chairman of the Co-op – the point at which the company began its turnaround strategy. Today, much involved in charities and community programmes, Allan is also chairman of Entertainment One, Wagamama and Element Materials Technology. Clive is one of the BBC’s most experienced foreign affairs correspondents, and is now an anchor and presenter based in London. He has served as the BBC’s Africa, Asia, Washington and Europe Correspondent, covering several major stories, including the wars in the former Yugloslavia, East Timor and Liberia, and the Palestine/Israeli conflict. He was also a prominent member of the BBC’s reporting and presenting team for the conflicts in Afghanistan and Iraq. He has covered the administrations of three US Presidents, and reported on six US Presidential elections, including, most recently, anchoring coverage of the victory of Donald Trump. He also co-anchored the funeral of Nelson Mandela from Johannesburg. 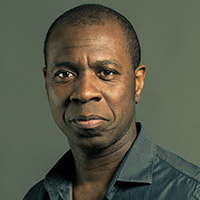 As well as Clive’s several awards and nominations from the television and broadcasting industry, he has an Honorary Doctorate from Staffordshire University. 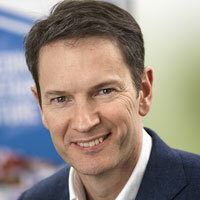 Guy leads IGD’s UK grocery retail research, focusing on the strategies being used to meet current and future shopper needs. 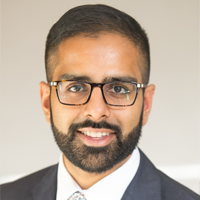 He tracks innovations and trends across the convenience market and small store retailing whilst delivering research outputs for IGD’s Retail Analysis service. This includes building reports and delivering customised projects and events to help retailers and suppliers adapt and grow. Ex-investment banker and fund manager Selva Pankaj founded education, skills and training development company educator Regent Group in 2000 with his father and his wife, Tharshiny. Regent now runs schools, colleges, learning centres and nurseries, providing high quality education to more children every year. Selva was recently awarded an honorary doctorate by the Young Scientist University and as a philanthropist supports many causes, among them The Prince’s Trust and Combat Stress. 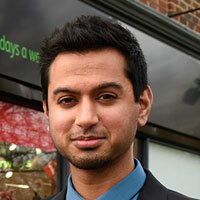 Pratik Patel has been running Jay's Budgens in south-east London with his father Jay Nalini for 37 years. Last year the store underwent a complete overhaul, with a new focus on specialist categories including free-from, vegetarian food and nuts and pulses. Amish Shingadia took over a struggling store in 2015, changed the entire layout and transformed the shop into a winner. He introduced a post office, expanded the fresh and chilled range and launched a huge food-to-go range. Aditya is the eldest from the third generation of the Solanki family working at Asian Media Group. 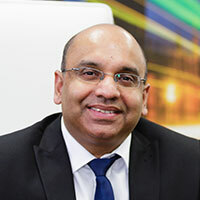 After graduating in Computer Science and Management from Kings College, London he worked at FMCG giants Warburtons and PepsiCo before joining AMG. 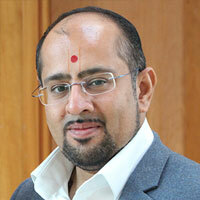 Aditya is responsible for the group's digital media assets across all platforms. He is also responsible for AMG's India operations. Highly experienced within the soft drinks and confectionery categories, Jon has over 30 years’ sales and industry knowledge specialising within the Wholesale, Independent and Convenience sectors. Working with household names such as Coca-Cola, Schweppes, Trebor, and most recently with Perfetti van Melle (Mentos, Chupa Chups, Smint and Fruittella), Jon understands how to develop and support brand growth within the Impulse sector.